La JUVENTUS is champion of Italy for the second consecutive year! Fiorentina is second to only one point behind, while Milan are third at five points behind the leaders. This is the final outcome of a splendid and hard-fought championship that gave us a lot of emotions for the whole season and could not have been otherwise given the caliber of the three BIGs who fought each other until the last day. Read more: Juventus second championship, Juve champion! 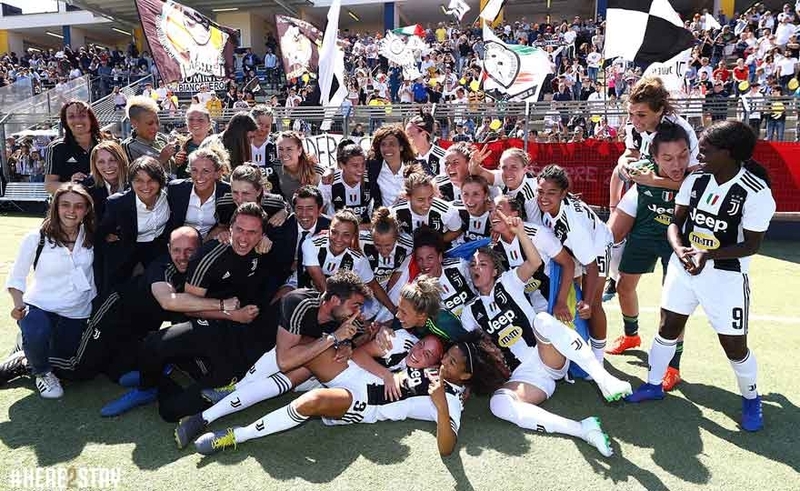 In front of the numerous Juventus fans rushed to Verona for the last match of the championship Juventus won the second consecutive championship. Hellas Verona tries to play the game anyway even though it is already mathematically safe and in fact makes the half-hour wait for Juventus to sign the advantage. Advantage that arrives with Petronella Ekroth: Barbara Bonansea beats the corner on the second post to serve Cristiana Girelli as a bank on the first post where Ekroth arrives, taking advantage of his centimeters bags behind Forcinella. The Bianconeri win their second consecutive title at Hellas. Fiorentina beat Roma with a doubtful rigor, taking second place (-1) and the Champions. Milan beat Chievo at home (winning salvation) and ended the tournament with a disappointing third place. 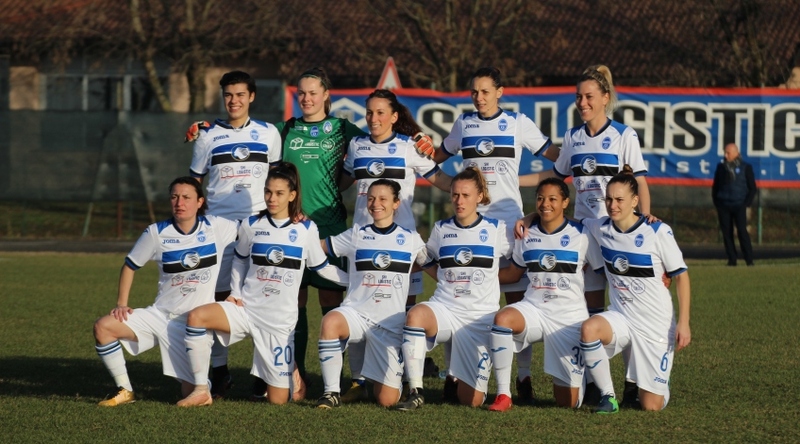 Pink Bari, defeated by Atalanta Mozzanica, is relegated to Serie B. An immense ChievoVerona Valpo imposes itself for 2-1 on Milan, snatching the salvation pass with an indomitable heart at the Comunale di Riozzo. The locals open the dances at the 5 'with Giuliano: from outside the area the number ten loads a big right that just flies over the crossbar defended by Sargenti. Chievo promptly responds a lap later with Pirone, who escapes Tucceri at speed and tries the winning dish, promptly deflected for a corner by careful Korenciova. Last seasonal exam, the one scheduled for tomorrow in Milan for ChievoVerona Valpo, a challenge that can mean salvation or descent in Serie B. Against a Milan still in the running for the Scudetto and the Champions League, the clivense formation needs the three points to guarantee its permanence in the top flight, or alternatively, the match between Bari and Atalanta Mozzanica does not end with a success of the Apulians. Finally we have reached the end of what has been in many ways perhaps the most fun and hard-fought championship of the last twenty years. At 90 'from the end in two points Juventus, Fiorentina and Milan will fight for the championship and access to the Champions League. So much suspense even at the bottom of the standings where many games are yet to be decided: the Orobica has already hailed the top flight in recent weeks, but Bari still has a chance to grab salvation, to the detriment of Chievo Verona Valpo which is in Milan forced to score against the red and black devils. The referee for this contest will be Atalanta Mozzanica who will try to keep fifth place in Bari, won with an exciting run-up. 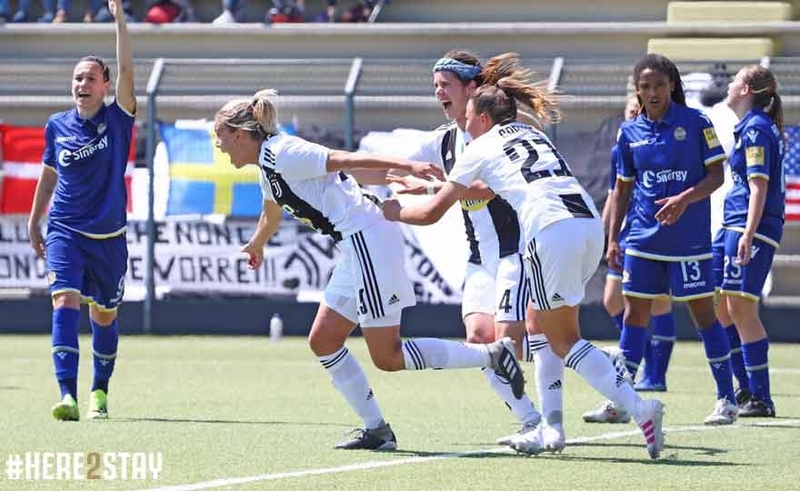 Even the central part of the board has not spared surprises and twists: Daniela Stracchi and her companions, muted matches (only 4 points in the first 6 days) have gradually found the compactness and strength to return to play a role prominent in our league. 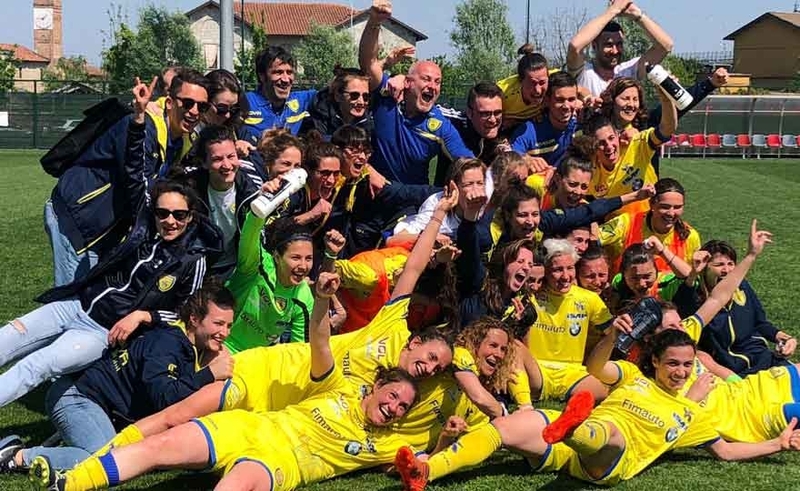 It was with Chievo that the team turned, starting a climb, culminating with the conquest of the fifth place and the resounding victory of Rome, against the wolves of Betty Bavagnoli. Sassuolo and Florentia, were the main opponents of this fight in the middle. 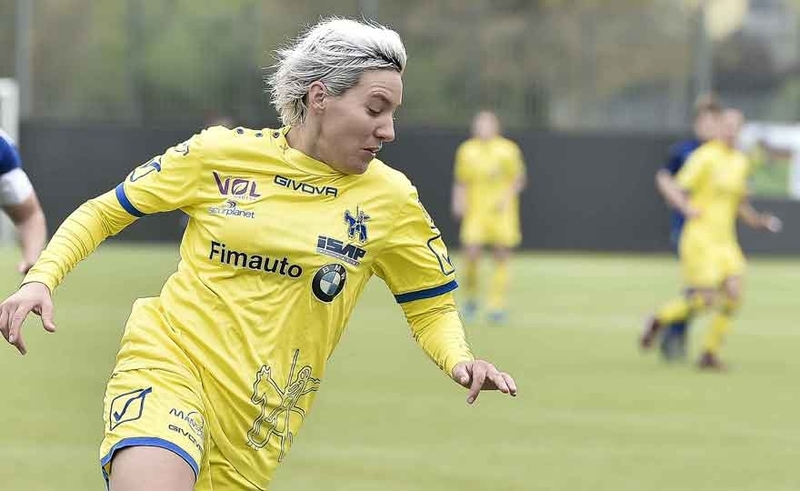 The one to one of last Saturday between the two teams has allowed the Emilian women to reach and pair the Nerazzurri in fifth position, while the women from Tuscany are now out of 3 lengths. Read more: CHAMPIONSHIP LAST ACT. IN BARI FOR THE FIFTH PLACE.